Attracting butterflies to your backyard is not only rewarding, it is also easier than you may think. This is because the plants that are an integral part of a butterfly’s life cycle are all around us in nature as well as in our landscape. Taking advantage of this natural occurrence saves the butterfly gardener time, money, and labor. Native wildflowers such as Spanish needle and lyre leaf sage are invaluable nectar sources for feeding adult butterflies. Other wildflowers … mistakenly considered useless weeds by many; everlasting and toadflax, are regular volunteers in tended flowerbeds, and yards, and will provide larval food without any work on the part of the gardener. 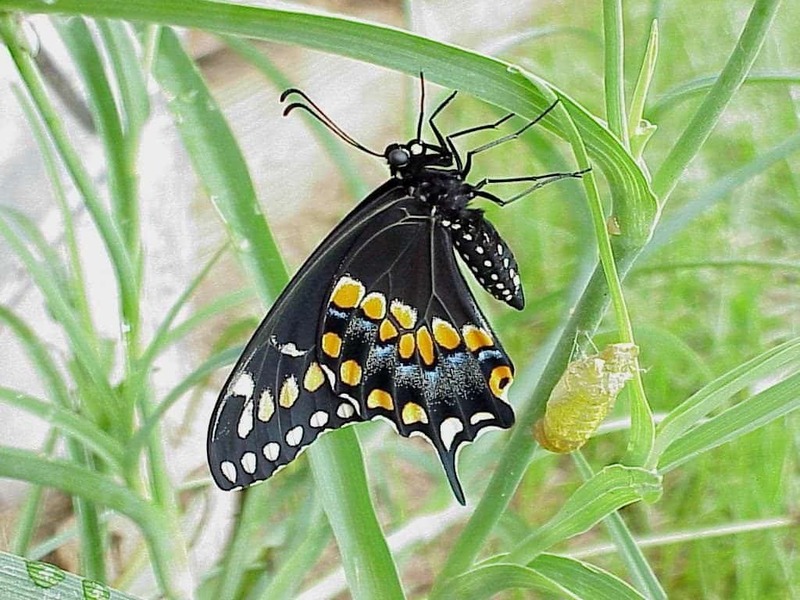 By simply making room for the plants they require, the butterfly gardener is rewarded with an abundance of these beautiful creatures to study, photograph, or just enjoy. Butterflies require two entirely different types of plants in order to complete their life cycle. An adult butterfly is equipped with a proboscis, or tubular tongue, that it uses for drawing nectar, whereas, immature butterflies, known as larvae or caterpillars, have chewing mouth parts and feed on plant parts. The required food for both life stages should be planted or cultivated in order to develop a successful and abundant butterfly garden. What this means essentially is – provide flowers for the adults and leaves for the caterpillars. Additional requirements include water and shelter, however, these needs are usually met without additional effort once the butterfly garden is established. Flower nectar is the preferred food choice of most adult butterflies, however some species also take advantage of tree sap, fermenting fruit, and even carrion. When planting nectar plants, keep in mind that adult butterflies need sunlight in order to warm their wings for flight. Therefore, place the majority of nectar plants in a sunny location to assist them as they prepare for takeoff. 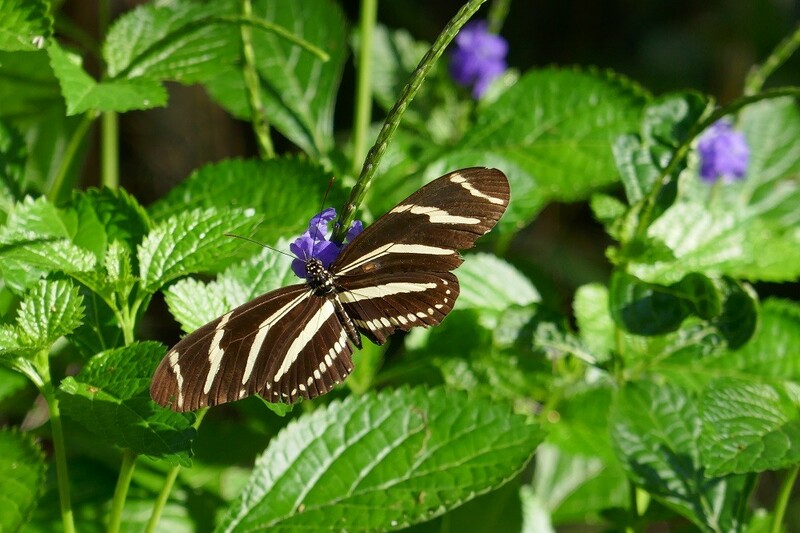 Black butterflies, such as the zebra longwing, actually seem to prefer feeding, or nectaring, in shady areas much more frequently than their lighter counterparts. This is because their dark color absorbs heat more readily thus enabling them to be active sooner in the day as well as on cooler days. Knowing this, the butterfly gardener should locate some nectar plants in the shade as well as in sunny areas to satisfy all the nectar-seeking visitors. Florida butterflies are active most of the year so it is also important to utilize a variety of plant species. This keeps your garden producing blooms throughout the seasons, ensuring a continuous supply of nectar – even in winter. The female butterfly searches out the proper host plant on which to lay her eggs by tasting each plant with sensors on her feet. Once the correct host plant is located, she will typically lay her eggs on its tips where the tender new growth is found. Each species of butterfly uses a particular plant or family of plants to nourish its young and will only lay eggs on those plants. 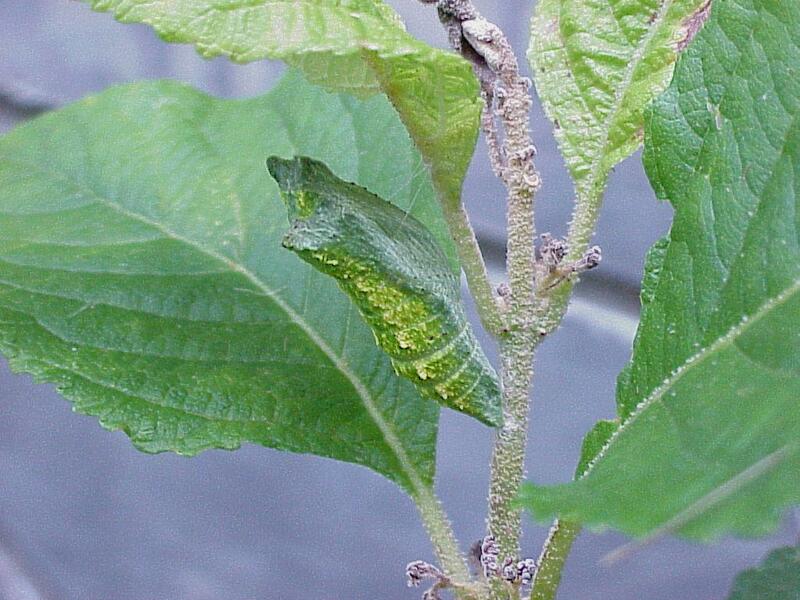 Growing an abundance and variety of larval food plants will attract and support the largest variety of butterflies. 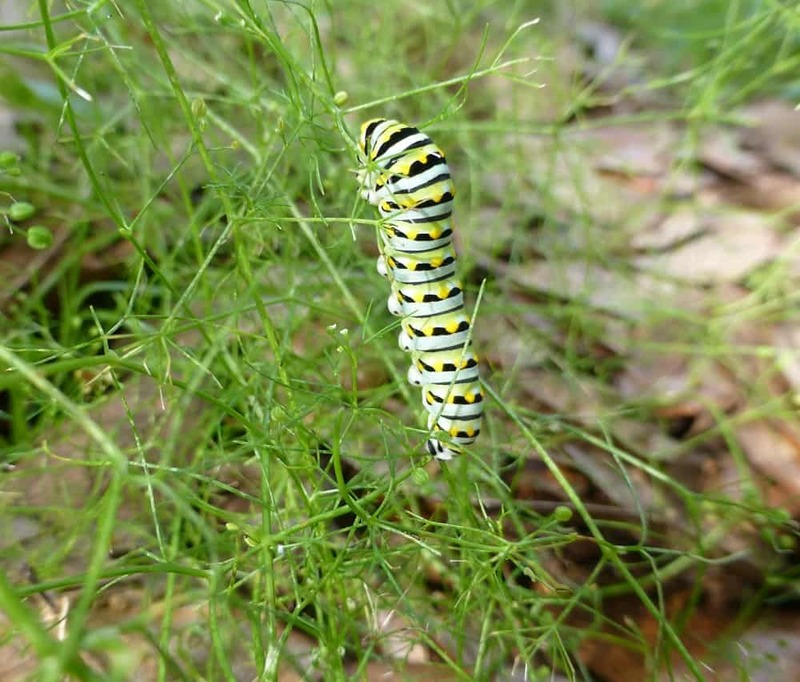 Planting larval foods in several locations throughout your landscape will also ensure that a particular plant, or plants, will not be defoliated as quickly and will ‘bounce back’ faster with new growth. Caterpillars feed continuously and voraciously for a few weeks until they have completed several molts, or instars, and are mature enough to pupate. Most will move away from the host plant to nearby foliage or structures on which to complete this last stage of their larval life. Some butterflies, however, may stay and pupate on the host plant, while others descend into the leaf litter to accomplish this feat. Once pupated, the organism has developed a very hard outer covering, called a chrysalis, wherein metamorphosis takes place, and in approximately two weeks an adult butterfly will emerge to trigger a repeat of an amazing life cycle. A butterfly’s water requirements are usually met in the form of raindrops, water droplets, and moist soils and mulches. Routine watering in the butterfly garden is generally more than adequate to fulfill their moisture needs. Watering the flower beds on hot days will usually result in several butterflies landing to drink from the moist soil or mulch. A butterfly drinks by uncoiling its proboscis and laying it in the crevices of the mulch, or along the edge a water droplet, drawing water through the tube shaped tongue. Butterflies can often be seen drinking, or puddling, from mud puddles and areas of concentrated livestock urine in order to obtain required salts and minerals as well as water. Shelter requirements are generally met once the butterfly garden is established. Adult butterflies seek mature foliage for protection from inclement weather, predators, or merely to rest. Butterfly houses are very attractive in the garden, but unfortunately, at least for the author, do not seem to entice butterflies into the confined space that they provide. Butterflies prefer shrubs or trees with large leaves which give them adequate cover and an easy escape route if threatened with predation. Some species roost communally which can make a seemingly lifeless shrub silently explode with flitting butterflies when disturbed. 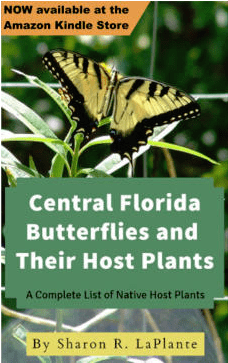 Take advantage of the wonderful native plants that Florida has to offer and you automatically provide for many of our beautiful native butterflies. My humble garden becomes absolutely crowded at times with these fascinating animals. With minimal planning, and care, your efforts will be handsomely rewarded.